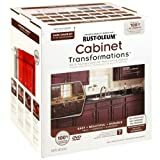 Dated cabinets can make a kitchen look old and tired, and if the paint is faded and chipped, then this will look even worse. Seeing as the kitchen is the room that often makes or breaks a sale, this is also a space that is especially worth an investment for those looking to sell up. The only problem is that painting cabinets come with its own set of challenges and issues. This is a different ball-game compared with painting walls, and thus it is going to require a slightly different approach and different paints. 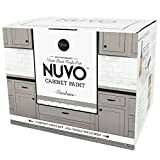 Let’s look at some of the best paint for cabinets out there to help you choose the perfect one for your kitchen. 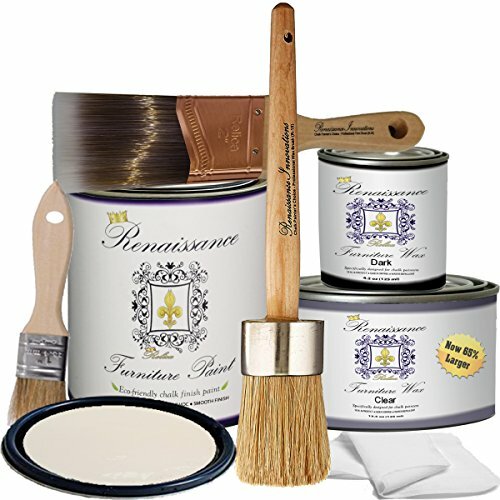 This makeover kit is not just a paint, but rather provides a combination of different tools and a paint that once again combines primer and paint into a single coat. It is a low odor, free from toxins, and results in a professional-looking finish that is nevertheless very quick, easy, and straightforward for anyone to apply. It’s also a great value! 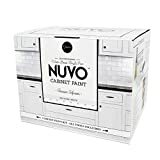 One ‘kit’ will cover up to 100 square feet of cabinet surface. Another ‘kit’ solution. This one will cover 101 square feet – one more than Nuvo! It once again gives you everything you need and combines priming and brushes so all you need to do is apply. It’s available in just three colors, but fortunately, those colors are very attractive. 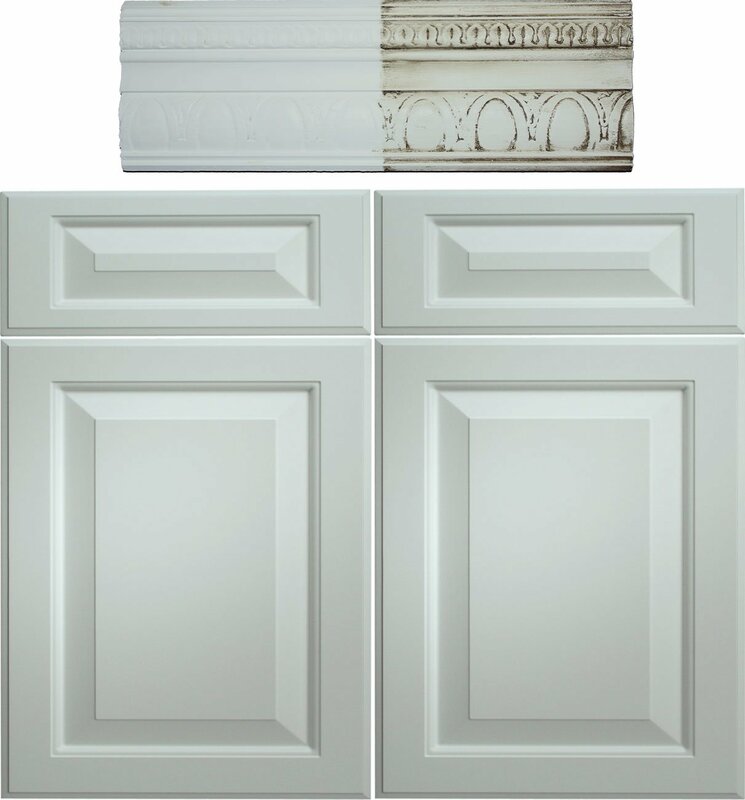 Priming and sanding your cabinets prior to painting can often help to create a more impressive finish. As we’ve seen though, this isn’t always necessary – and you might actually be able to skip that step sometimes with certain paints. But when you choose Beyond Paint, you essentially get the primer and the paint built into a single coat. That’s why this is an ‘all-in-one’ and the result is a paint that is particularly quick to apply and that results in an especially attractive finish. This paint comes in a wide variety of different shades and colors that have warm tones ranging from an off-white to a very dark grey. 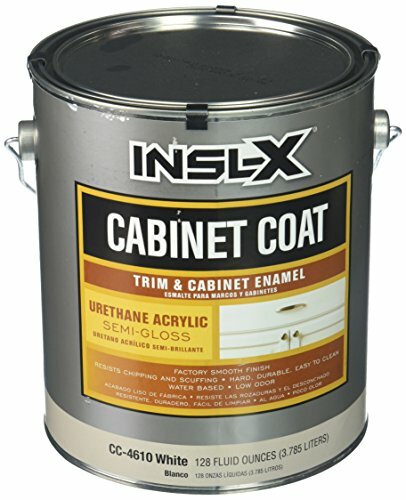 This is a semi-gloss paint that has an attractive sheen but isn’t overly ‘shiny’. It is made from 100% acrylic, which makes it durable and attractive. It is also resistant to mildew and a number of other common blights that can otherwise affect your walls. It’s bright, it’s strong, and it comes with a lifetime warranty. The only downside to this brand is the relative lack of color choices. But for most cabinets, it is going to be perfectly suitable. This Majic paint uses the same diamond hard effect that you will find from Dulux. That means no scuffing and no scratching. 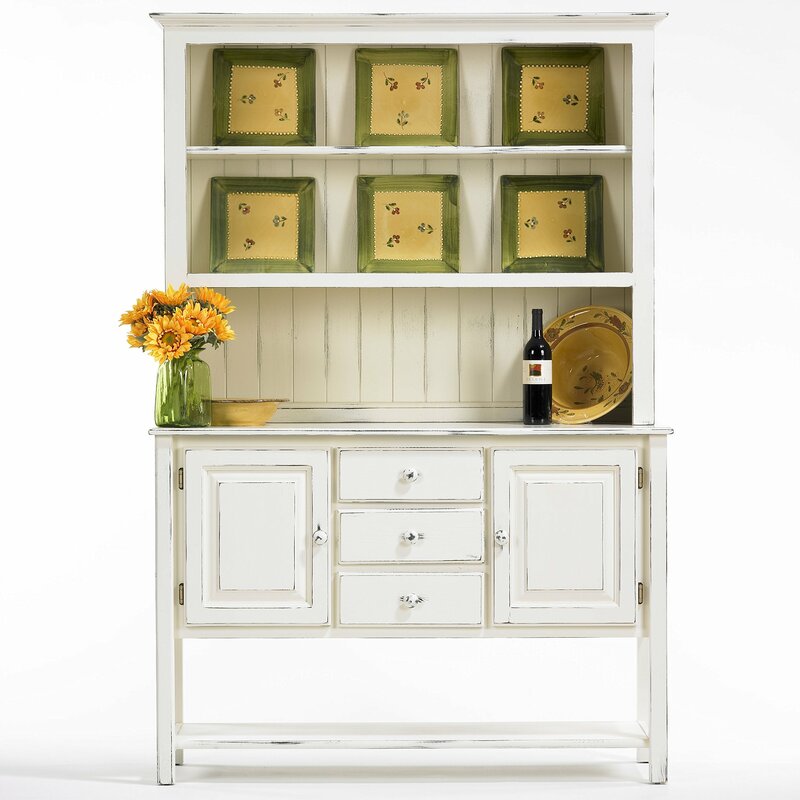 If you are someone who tends to clatter around in their cabinets, then you’ll find this to your liking! Majic paints also come in a wide range of different colors, including greens, yellows, and blues. This creates more options for your kitchen and many people will find that beneficial. That said, there is something of a lack of white shades, which may be an issue in some cases. The paint uses an oil-based formula, but has been designed in such a way as to challenge most oil-based paints! 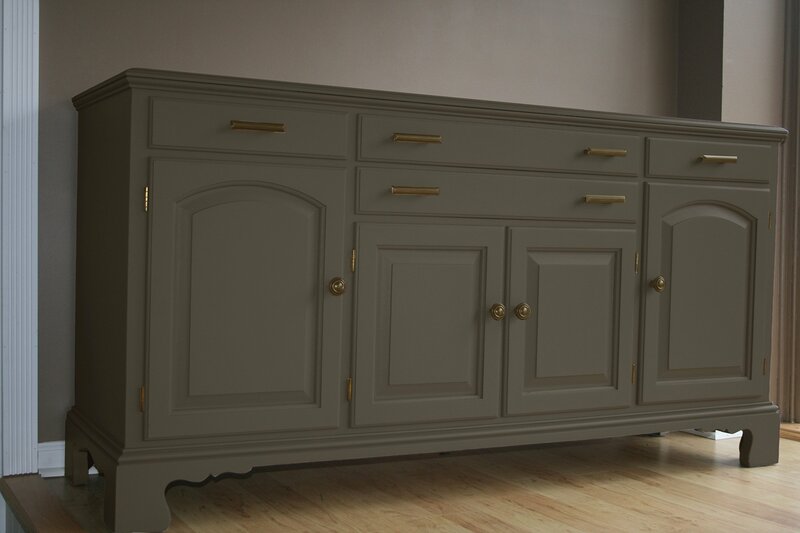 The chalk finish is a finish we didn’t delve into in detail, but it results in a very attractive and somewhat more ‘natural’ finish for your cabinets. It’s a perfect choice for specific types of décor and many people will find it’s just what they’re looking for. Great for creating a vintage effect! The paint is thick and creamy and offers an instantly smooth and flawless coverage. It also dries in just 20 minutes, meaning you don’t need to endure days with your windows open ‘airing’ the kitchen. No sanding, priming, or stripping necessary either. 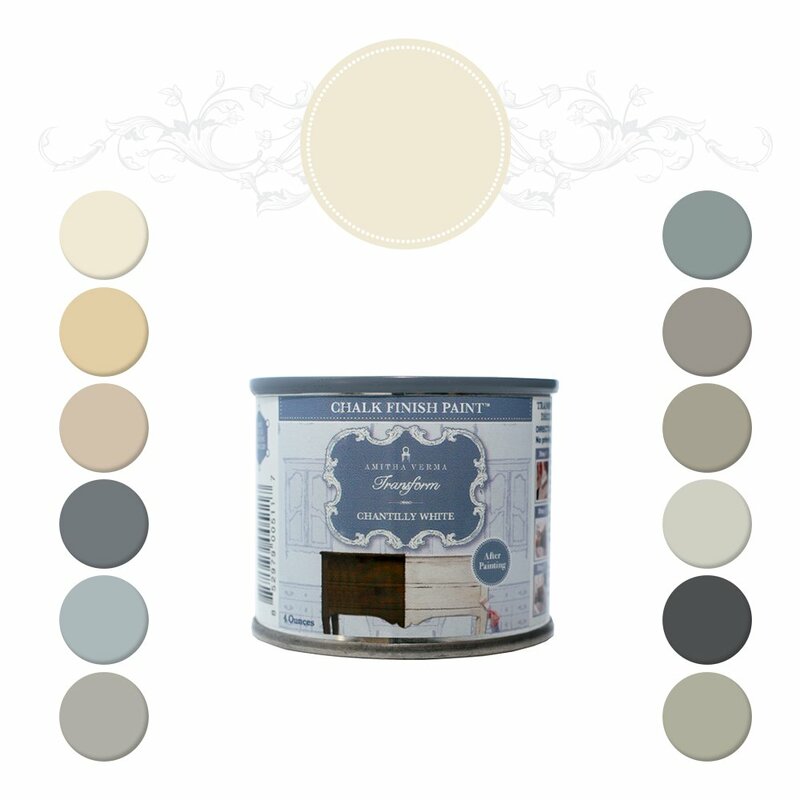 If you like the sounds of the antique, chalk effect, but you aren’t keen on Amitha, then this chalk paint from Annie Sloan offers an appealing alternative. It is a non-toxic water-based paint that offers excellent coverage and has an ‘ultra-matte’ finish that looks very modern and minimal. This paint creates an extremely durable and premium finish for furniture and cabinets. It doesn’t require It has a low luster sheen and comes in a range of 26 different colors – including some less obvious options like purple, maroon, and pink. As with the Amitha, you can apply this directly to your surfaces with no need to prime, sand, or strip. 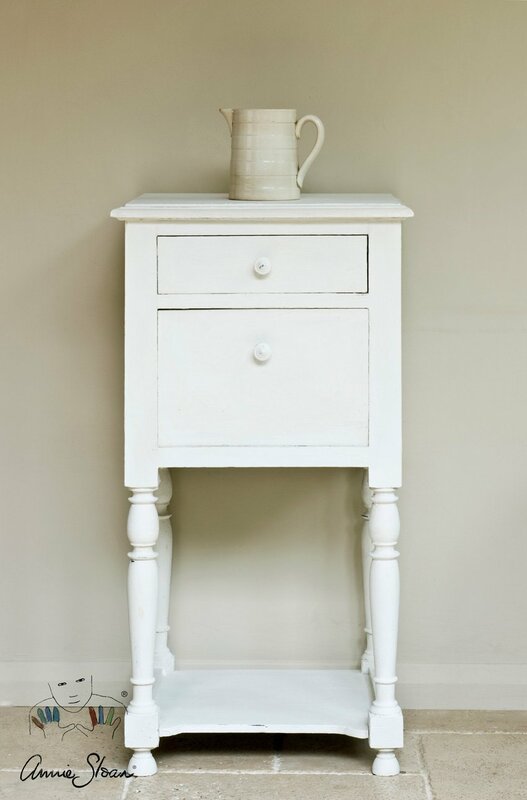 It can also be mixed with chalk paint and is ideal for upcycling. All kinds of things can scuff and damage your walls and cabinets from doors that continuously swing into them to furniture being dragged by narrow corridors. To avoid this, put in door stops and wider skirting boards, and make sure you are careful when moving furniture or engaging in other active activities in your rooms. Likewise, if you keep your bag on when you come in, then make sure you don’t accidentally scrape past your cabinets. As mentioned though, getting a hardier paint can also help to reduce this problem! 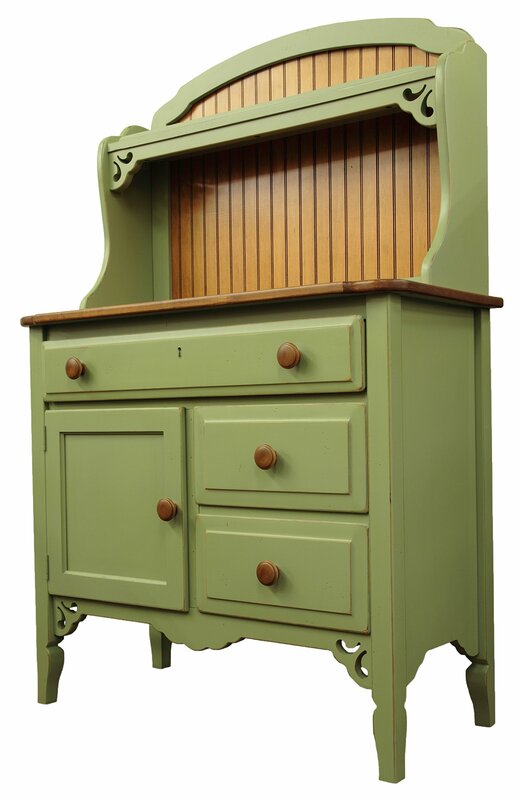 This chalk-finish paint is an interior and cabinet paint that is eco-friendly and that once again creates a matte finish that looks great on upcycled furniture to create that antique-style effect. 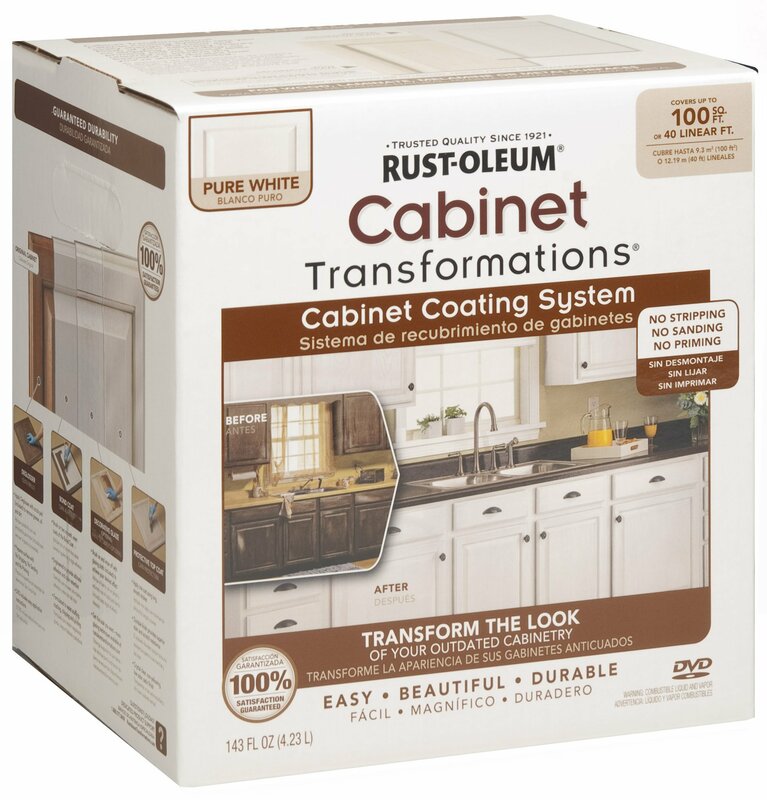 It comes in a wide range of different colors, offers some excellent coverage, and is perfectly designed for cabinets. This semi-gloss paint made from acrylic enamel is perfect for those that want to give their kitchen décor a slight sheen. It is a very smooth finish and works on practically any surface – even those that are traditionally hard to adhere to. The first challenge is to choose the type of paint you want to use. That means thinking about the color of course (which you should make sure is light enough to make space look large, while still being effective at disguising stains and splatters). Remember that you can choose different combinations of these colors. 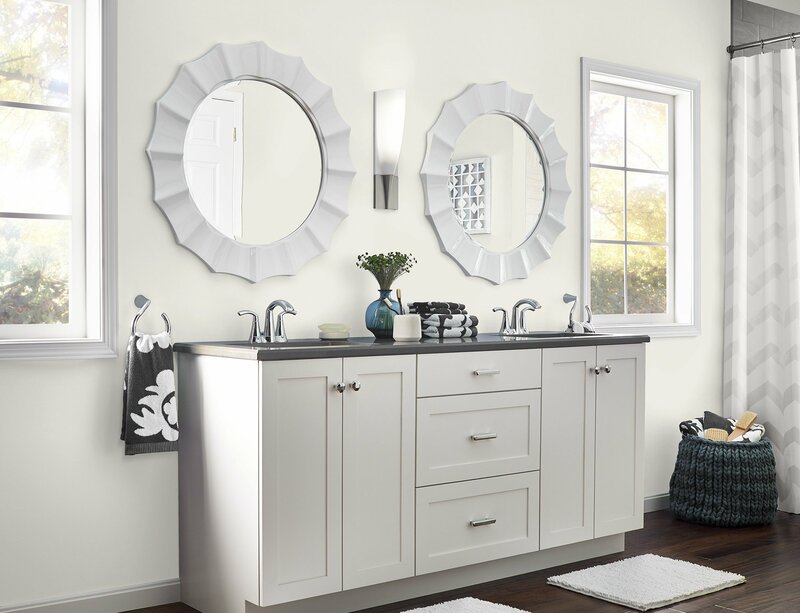 For instance, then you might use black for your countertops or your backsplash, and then use a lighter gray to contrast with that for the surfaces. Be very cautious if you are using whites, as these tend to deteriorate the fastest and show stains the quickest too. But choosing your paint also means considering the type of paint. First of all, you need to choose between a water-based, latex-based and oil-based paint. That sounds confusing but what’s going to help is understanding that all latex based paints are actually water-based. There’s actually no latex rubber in this paint at all, but rather the term ‘latex’ is used as a generic one to describe a large range of different paints. What these paints are actually generally made from is either acrylic resins or vinyl. The better quality paints use more acrylic in most cases, but this, of course, costs a little more. The ‘base’ in either of these cases is going to be water. Oil-based paints meanwhile obviously replace the water component with some kind of oil. This results in a stickier and thicker substance, which has different properties when it is applied to a surface. Oil-based paint goes on very smoothly and is very effective in a wide range of different situations. It works particularly well on wooden surfaces, seeing as these have a tendency to otherwise absorb the paint, making it look diluted and patchy. Water-based paints often require more coats to achieve the same look. What’s more, is that a water-based paint can actually cause damage to certain surfaces – in particular, it may cause rust if you apply it to a metal surface. Oil-based paints also benefit from the fact that they dry quickly and tend to preserve their appearance. That is to say, that the way an oil-based paint looks when you first lay it down is likely to provide you with a realistic impression of what it will look like once it is dried. Conversely, if you use a water-based paint, this will often shrink as it dries and the color can change quite a lot. Finally, latex paints are a little easier to work with for beginners. If you make a mistake then you can often simply wipe the drip away, or use a bit of sugar wipe. It’s worth noting that many of the limitations of latex paint can be overcome by using a primer. By laying this down on the surface first, you can improve the adhesion and make it significantly easier to apply a bold looking color evenly across the room. 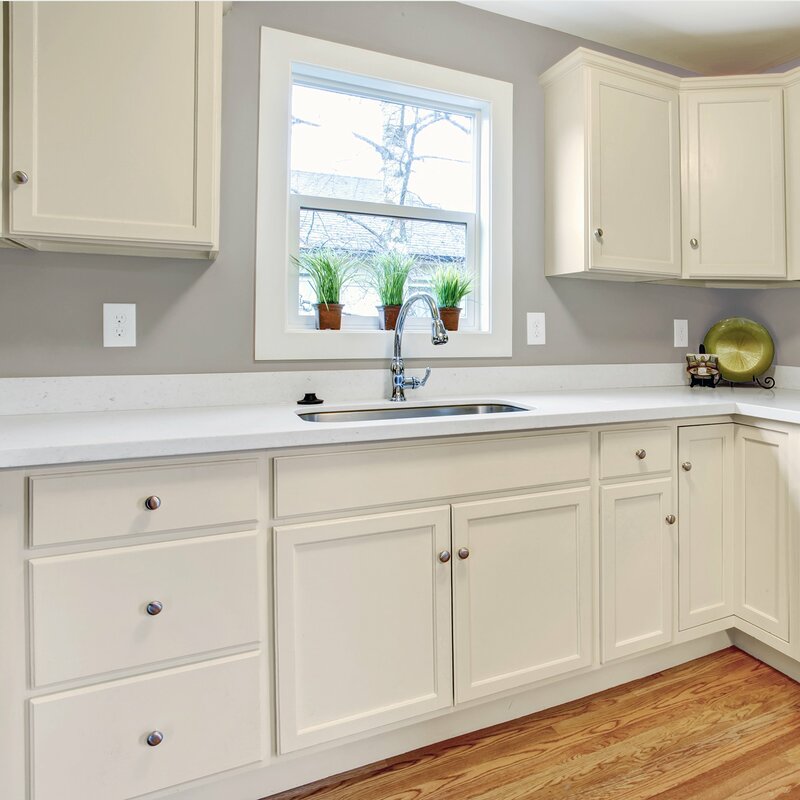 Your countertops and cabinets may require a little disassembly before you start painting. Right now, you won’t be able to get into the corners of the wood or behind the hinges of the doors etc. By removing those doors and by taking the countertops apart where possible, you can provide yourself with access to more of the surfaces and this will make for a much better job. Another way to prep your kitchen is to sand down your cabinets. 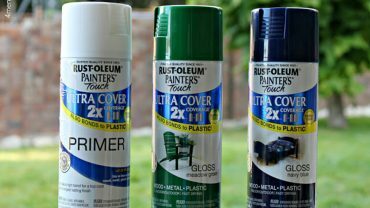 This won’t always be necessary, but if they’re looking dented, or if the surface is mottled and no longer smooth, then it will result in a much better finish and help to make painting easier. If you are using water-based paints, then read the instructions to find out if you will also need a primer. 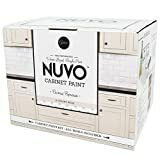 As we’ve seen looking at popular brands, some will come with primer included, some will recommend that you don’t need to prime or sand, and others will necessitate that you do both. Always read the guidelines! If your aim is to paint the countertops, you want to avoid also painting your floors, your ceiling, your fridge… Therefore, you need to find some ways to cover everything and protect it from dripping paint. We recommend that you invest in a few dust sheets. These can be acquired fairly cheaply and will provide you with an easy way to protect not only the floor but also any of your white goods, your hob, etc. In order to paint you’re going to need some paint brushes! 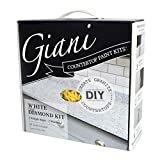 Try to get brushes of varying widths and sizes, as this will be useful for covering larger surface areas in the middle of your cabinets, as well as the smaller details around the sides underneath the countertops etc. You might also want to invest in some trays and some rollers. 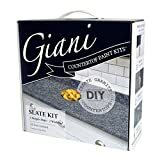 Many people don’t realize that they can paint their cabinets with rollers but this can actually sometimes result in a more even finish – and it certainly saves a lot of time! 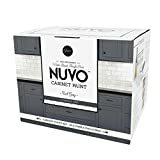 If you are going to be painting your walls and cabinets over several days, then you will need more than one tray. The good news is that you can find tray inserts that you lay inside over the top of any old paint. This is a more affordable way to keep using the trays, and it also lets you save a lot of time cleaning up! A little white spirit can be a very useful thing to get before you start painting. You can use this to remove the paint from your brushes and that’s especially useful if you’re going to be using an oil-based paint. Finally, think about protecting yourself as well. You’ll want to find some old clothes that you don’t mind ruining. And if you plan on painting the ceiling as well, then it can be a good idea to get yourself some protective eyewear. This can prevent paint from dripping in your eyes otherwise!